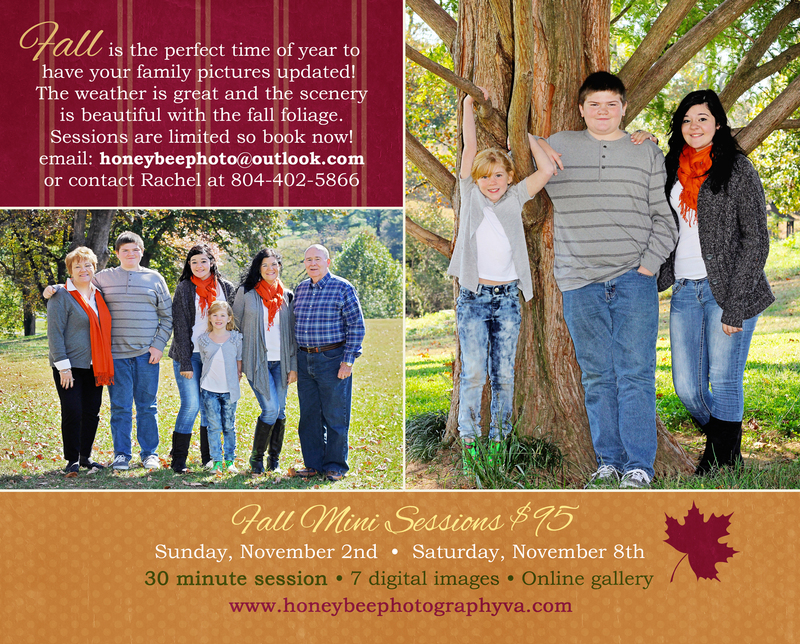 Honeybee Photography is now booking Fall mini sessions for November! 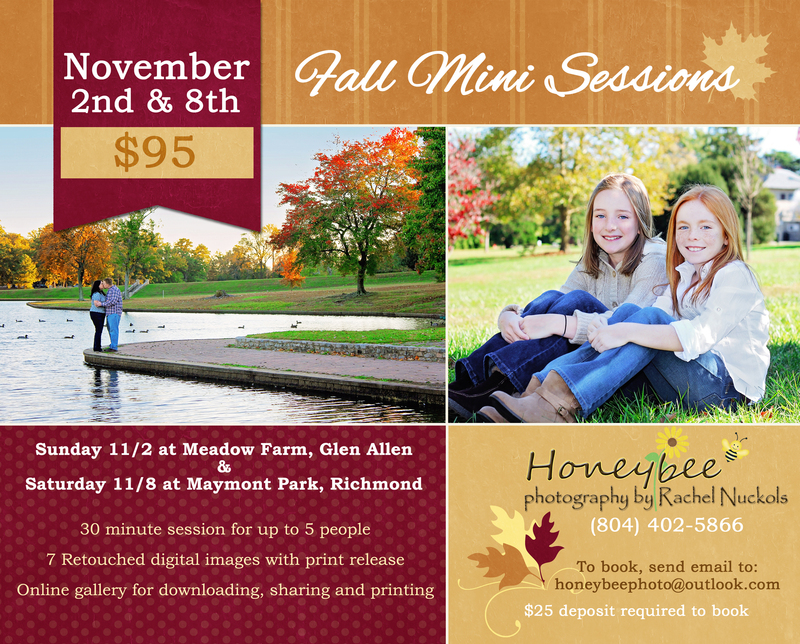 Dates for these family sessions are Sunday, November 2nd at Meadow Farm in Glen Allen and Saturday, November 8th at Maymont Park in Richmond. The fall foliage is expected to be fully turned by these dates and we are hoping for beautiful weather! If it rains, sessions will be rescheduled for 11/9 & 11/15. Sessions include families up to 5 people ($10 per additional family member). If you would like to book, please send an email to honeybeephoto@outlook.com with your preferred date and time and I will let you know my availability. Session times are from 10am to 2pm on both dates. A $25 deposit is required to hold your spot and the balance is due on the day of your session. © 2019 Richmond Virginia Family & Newborn photographer | Honeybee Photography|ProPhoto Photography Template | Designed by That's Kinda Cool!